George Groves and Callum Smith were in confident voice at the Final Press Conference ahead of their Ali Trophy Super Middleweight Final on Friday at the King Abdullah Sports City in Jeddah, Saudi Arabia. 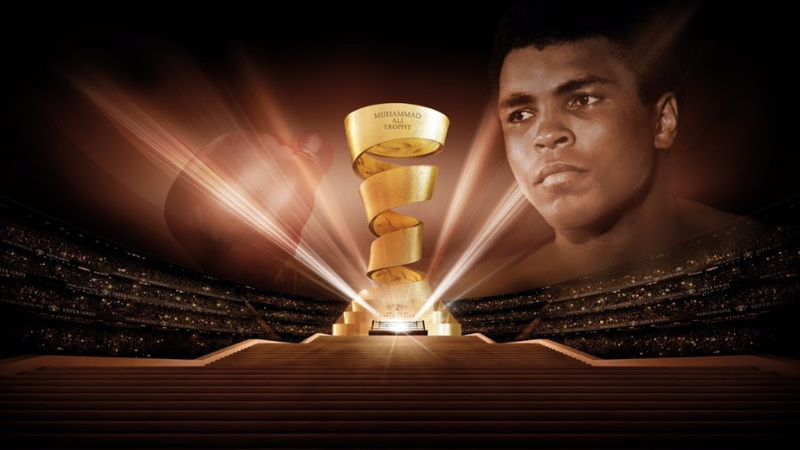 The all British-battle between the tournament’s top two seeds will close the hugely successful inaugural season of the World Boxing Super Series and determine the division’s number one fighter with a host of titles up for grabs. Groves, the defending WBA Super World Champion, booked his place in the final with impressive victories over countrymen Jamie Cox and Chris Eubank Jr, while Smith, the WBC Diamond titlist, secured his spot with decisions over Erik Skoglund and Nieky Holzken. The prestigious Ring Magazine title will also be on the line. “It’s great to finally be only a day or two away from the fight. We’ve had a great camp in the end. It took a long time to get back to full fitness, but we’re there now, and everything has gone as good as it possibly could. After such a long training camp and a long time since my last win, I can’t wait to fight and to collect some new belts and the Ali Trophy. “I have been involved in some real big fights as a professional. I recently became WBA Super Champion and ranked number one in the division. Up for grabs for me this time around is the Ring Magazine belt, the WBC Diamond Championship and obviously the Ali Trophy as well. “It is a massive opportunity for me. Every fighter who starts boxing dreams of becoming a World Champion and I was no different. I turned professional and I believed my abilities were good enough to tell me to the very top and Friday night I get a chance to be there. “It’s very different (from Eubank Jr. fight). You’ve got a guy who’s 6 foot or 5’11 and another guy whose 6’3’’. Completely different styles and that has been reflected in our training camp. “There’s not much really to be said here. You’ve got the number one and number two seed of the tournament meeting in the final. Everyone is well aware of George Groves. His attempts at World titles and becoming World Champion, for which I think the whole nation in the UK was really pleased for him. “For us it is a big day on Friday when we come to the final of the first round of the World Boxing Super Series. We’ve had one final already in Moscow and on Friday it will be the final everybody has been looking forward to in the super middleweight division, one of the strongest divisions in boxing. Fans in the UK can watch Groves vs Smith LIVE on ITV Box Office. Ringwalks for the final will be at 9.00 pm UK time. Registration is open at itvboxoffice.com. Fans in the U.S. can watch LIVE on DAZN, the global sports streaming platform. To sign up for a one-month free trial, fans can visit DAZN.com or download the DAZN app to their preferred connected device.